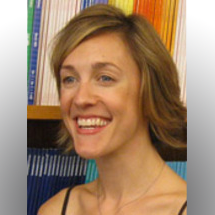 Dr. Sally Dunlop is a behavioral scientist with research interests spanning communication, psychology, and public health. As a Research Fellow at the University of Sydney, she works on projects related to tobacco control, focusing on the process of unassisted quitting, the influence of anti-smoking media campaigns on smoking-related beliefs and behaviors, and the impact of tobacco control policies. Much of this research is conducted in conjunction with the Cancer Institute New South Wales, part of the state government. Prior to her position at the University of Sydney, she completed her Ph.D. at the University of Melbourne and held a post-doctoral position in the Annenberg Center for Advanced Study in Communication program at APPC.